What’s not to love about Meghan Markle, our new Duchess of Sussex? She’s an absolute dream, from her philanthropic efforts to her bold style choices. (We’re still thinking about Markle’s royal wedding dress designed by Givenchy’s Clare Waight Keller.) On June 9th, the newest member of the royal family bucked royal tradition again during her first appearance at Trooping the Colour. And once again, we can’t stop talking about her dress. 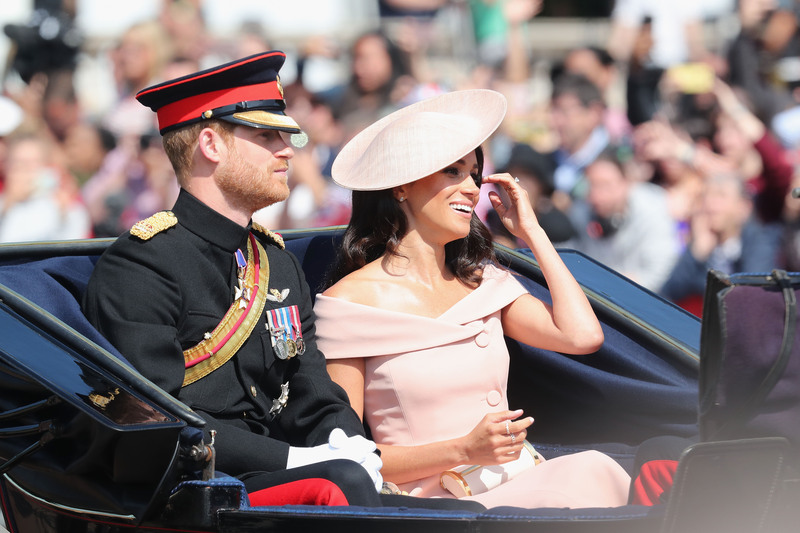 While there are a lot of rules the Duchess of Sussex has to follow now that she’s a royal, including not wearing dark nail polish, Markle took a bit of fashion freedom and wore a custom Carolina Herrera dress for Trooping the Colour. There’s no denying Markle looks absolutely amazing. She definitely has that post-royal wedding glow, so can you blame her for wanting to show her arms? 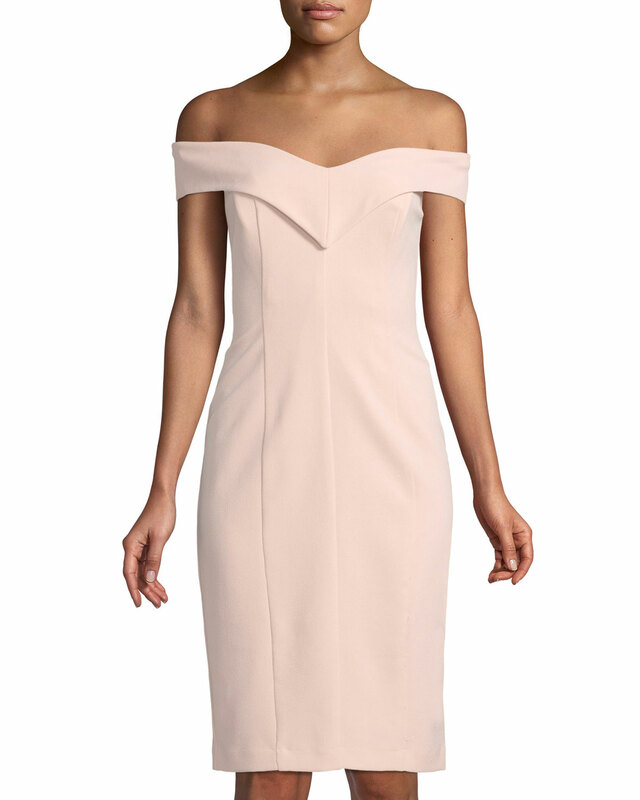 This sheath is all class with its pale pink hue, large buttons, and elegant folded off-the-shoulder collar. We totally embrace this breaking of the royal protocol in the name of fashion. 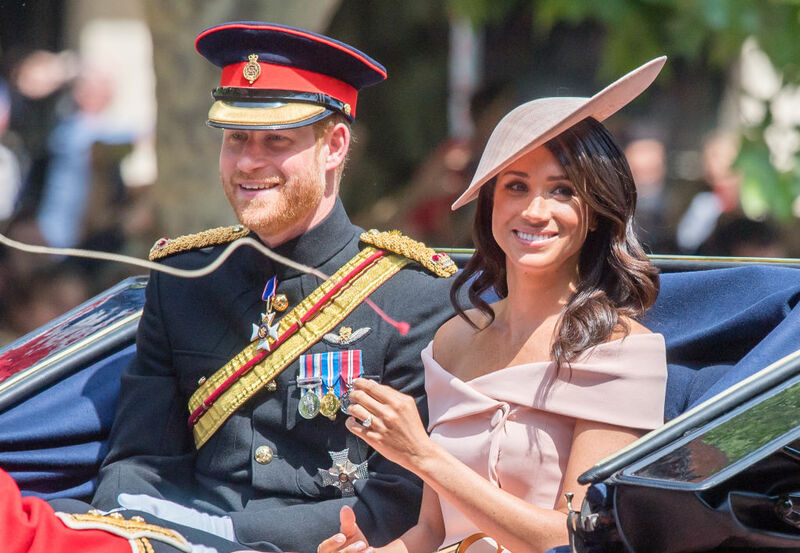 Love Meghan Markle’s classic yet trendy dress, but can’t afford that custom designer price tag? These nine affordable options are perfect for any summer gathering. Now THIS is how you look like a royal without dropping a ton of cash. 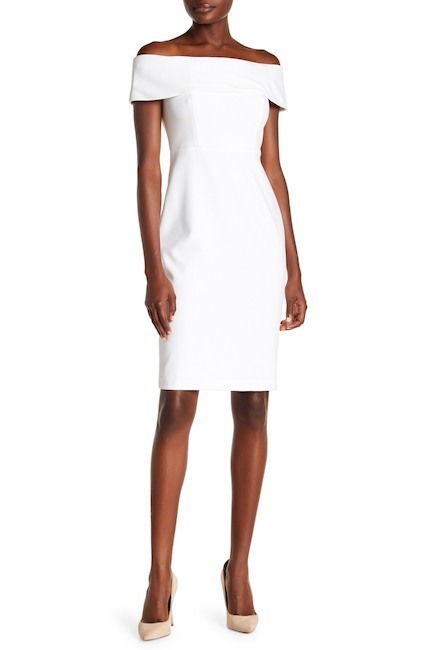 Perfect for an all-white affair. Classy meets sassy when you pair the off-the-shoulder style with a va-va-voom thigh slit. Another blush stunner. This neckline is perfect for adding a statement necklace or tassel earrings. 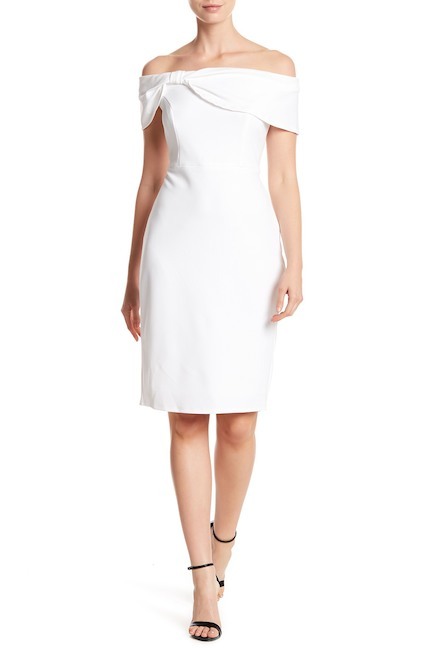 While Markle’s dress was a neutral blush, this frock is perfect for the woman who doesn’t mind going all out with color (and showing a bit of leg). Can’t you just see yourself wearing this while (carefully!) sipping rosé? 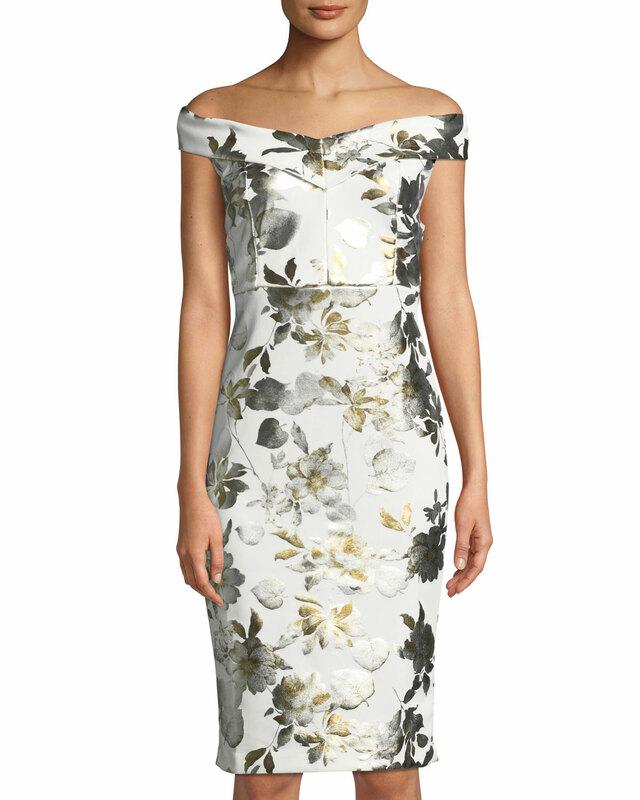 Solid hues are cool, but this foiled floral print ups the fashion ante. 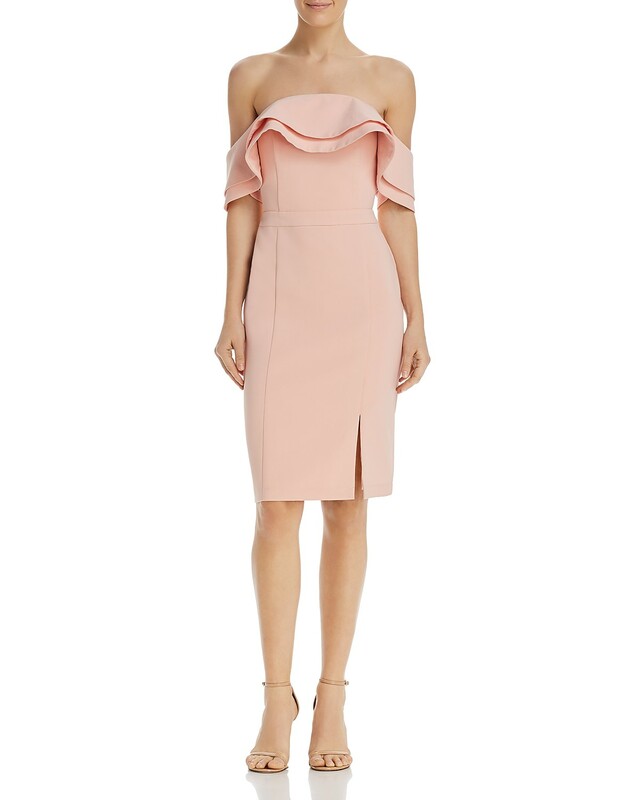 Summer should be fun and flirty, and it doesn’t get any better than this tiered, ruffle shoulder. 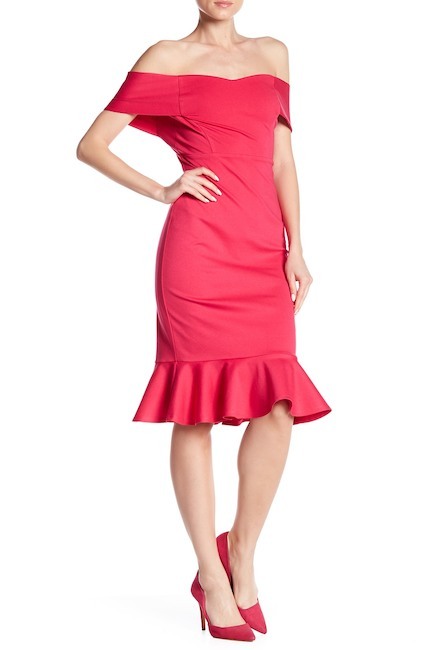 When you want to twirl and dance the night away, a ruffle hem dress is the natural choice! And this one comes in four different colors.